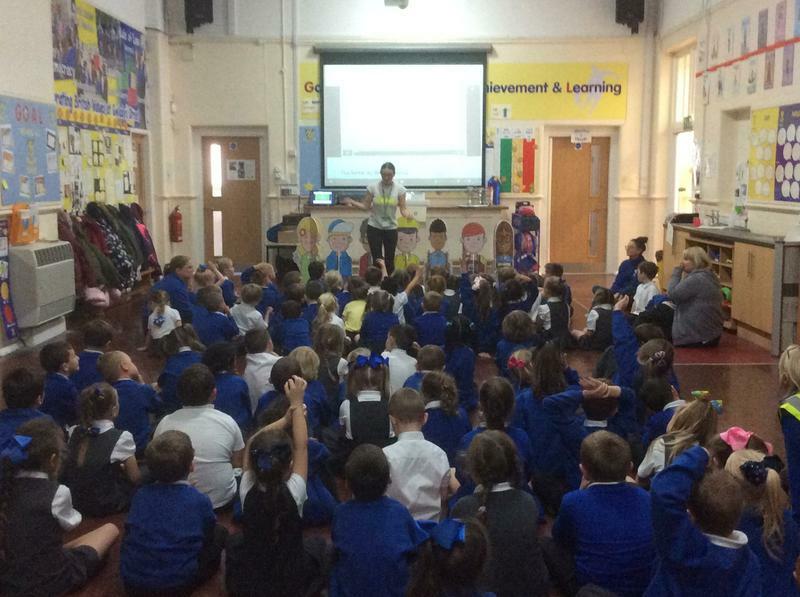 On Monday 1st and Tuesday 2nd October our children joined in an assembly. 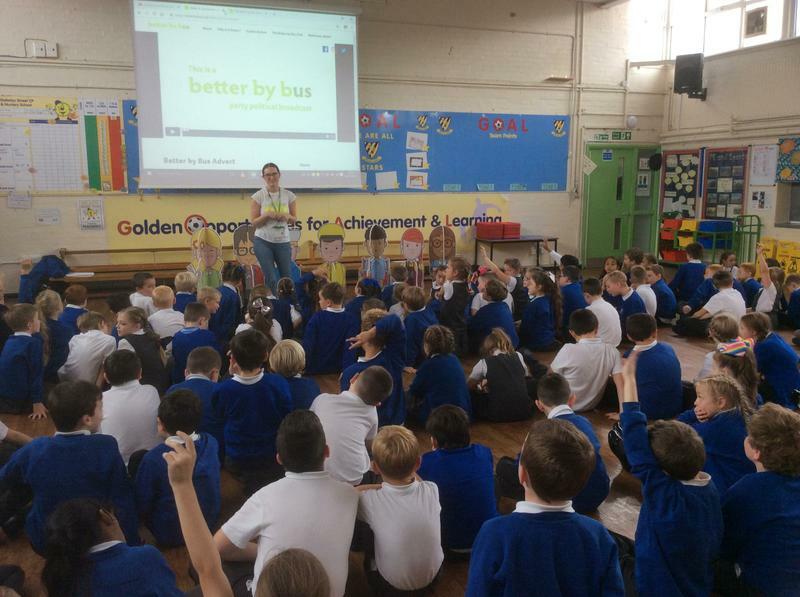 Better By Bus visited and the children learnt how to travel around our City safely. Our bus system is becoming more environmentally friendly by use of electricity rather than fuel. The children discovered that most buses now have WiFi access and CCTV cameras for the safety of all. 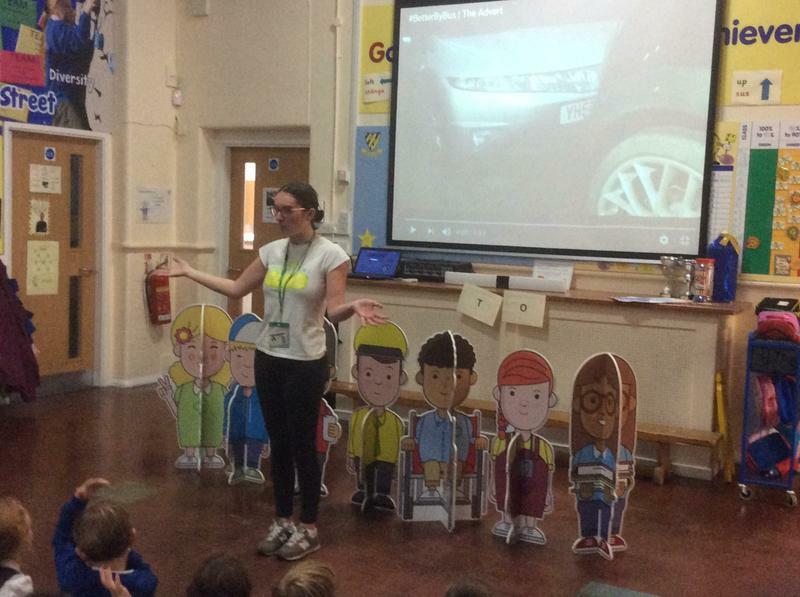 The children joined in by singing a song about how sociable, safe and accessible our bus service is.